I received complimentary products to share this post. This post contains affiliate links. All opinions are my own. My daughter loves to craft. She has also started wanting to learn how to cook and bake in the kitchen. I think it's because it's a very creative process. I was recently introduced to a craft by Alex Brands that captures the current decorating food trends into a fun and addicting craft. So for an early birthday present, I decided to introduce her to the world of Sweetlings. HER MAJESTling, ROCK n' ROLling, RAINBOW SPRINKling, GEEKling, SUGAR POPling, JAMMIN JASling, MEOWling, HOPling, MISS CHARMling, SINGling. Or you could customize your own if you'd like. My daughter wanted to create the different characters after she watched the videos and fell in love with them. 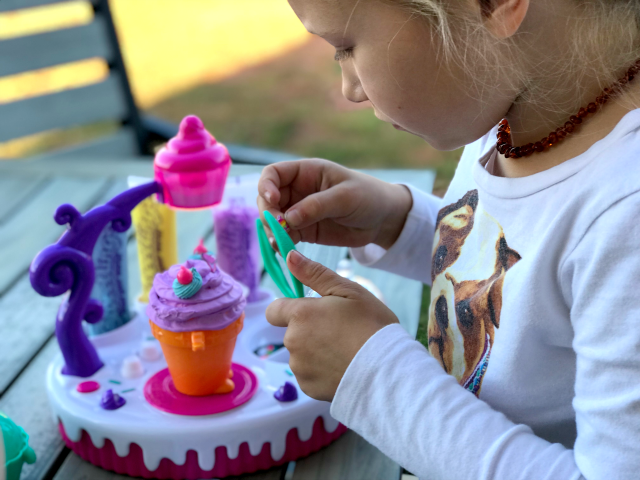 My daughter had so fun playing with her Sweetlings playset and she loved playing with them after they were created as well. Each playset comes with a backdrop as well so she can inspire imaginative play. What I think my daughter loves so much about this playset is how it is a unique craft and a collectable toy all in one. My daughter will be seven early next month and she had no problems creating the different Sweetlings. She wants to collect them all now. And she loved sharing them with her friends as well. 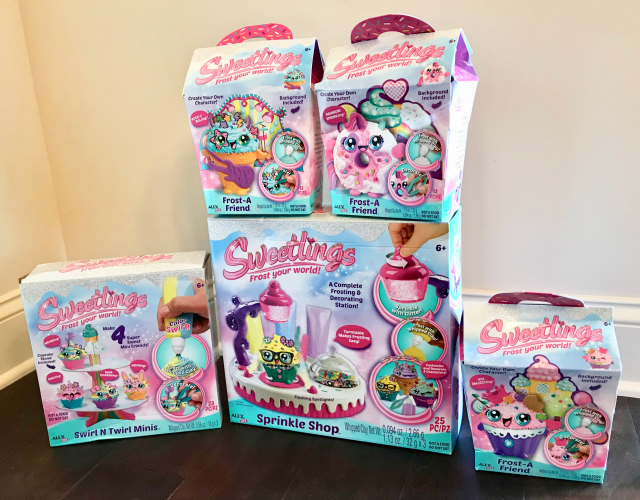 Make sure to check out all of the Sweetlings playsets from Alex Brands and the deal available by different retailers this holiday season. What do you think of NEW Sweetlings from Alex Brands? Although I received complimentary products and compensation to share this post, all opinions are my own. This post contains affiliate links. 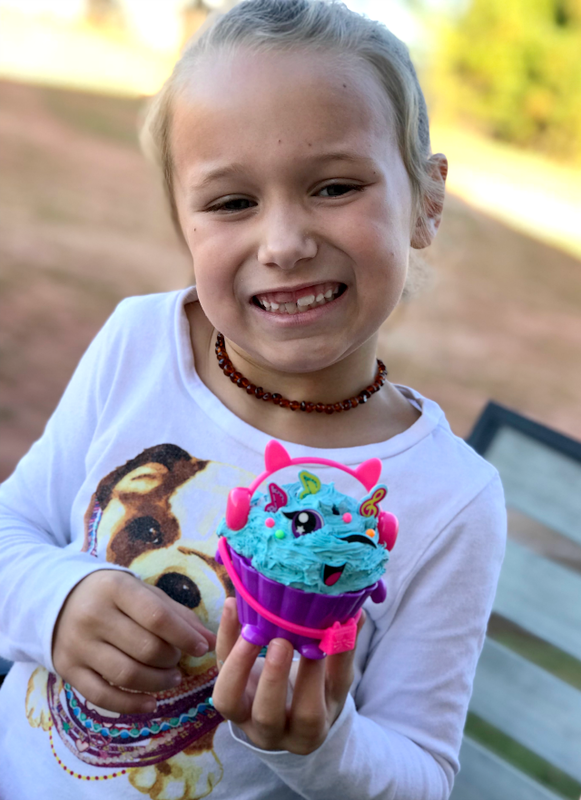 Your daughter did such a great job I thought that was a real cupcake at first! This is a cute toy and I love that they can keep their final result! This is really cute! The cupcakes look so real! We love Alex Toys! They are creative and FUN! Everything a child want or needs! Their prices are reasonable too!! I’ll tell my daughters about Sweetlings. Thank you for sharing. That cupcake looks so real and good that I want one! 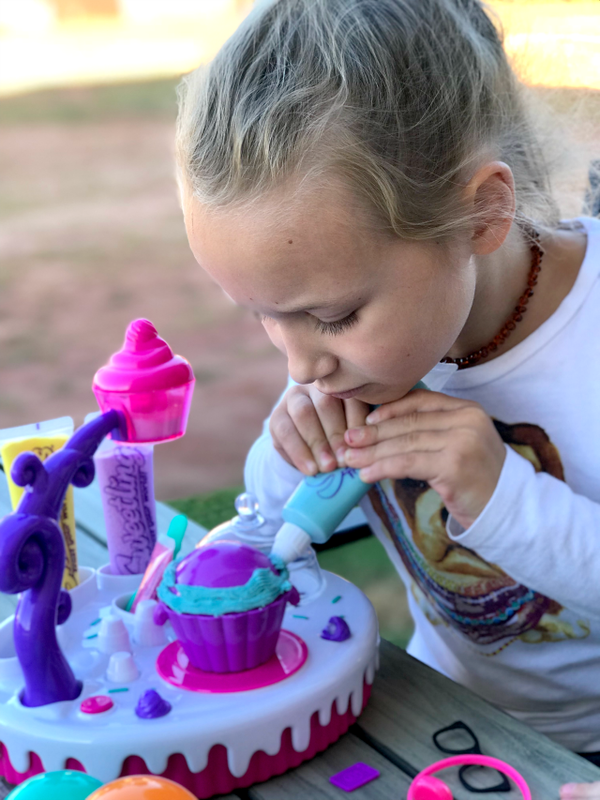 I love your daughter’s face of really deep concentration! Like an artist putting the final touches on her masterpiece! I hope she has a very Happy Birthday!! Omgosh these are too cute!! I totally thought they were real cupcakes too lol!!! Ah, the frosting is actually clay. I wondered what it was, lol. these look really cute.